Nothing better than a simple dinner that is easy on the wallet. 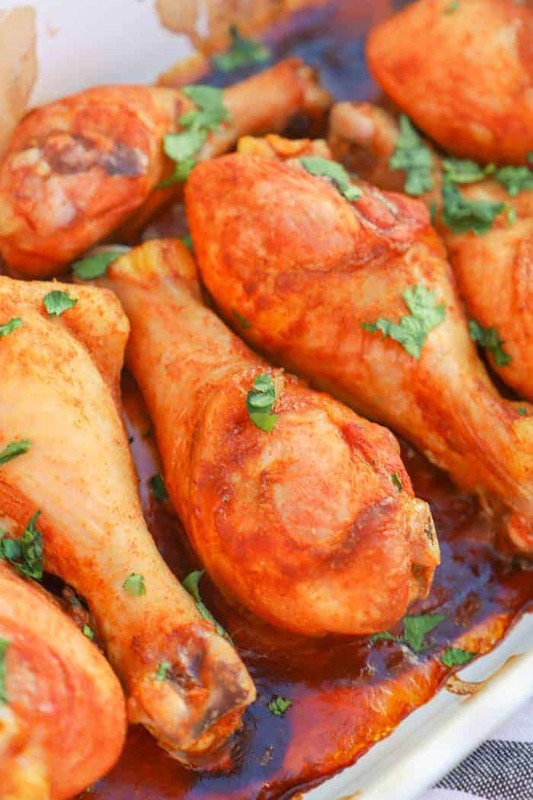 These Cilantro Lime Drumsticks are so simple to make and only take four ingredients. 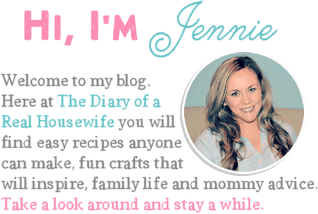 I love a good easy recipe. As a mom of three, you can guess that I don’t have much time to spend preparing dinner. I have even less time for making food my kids refuse to eat! 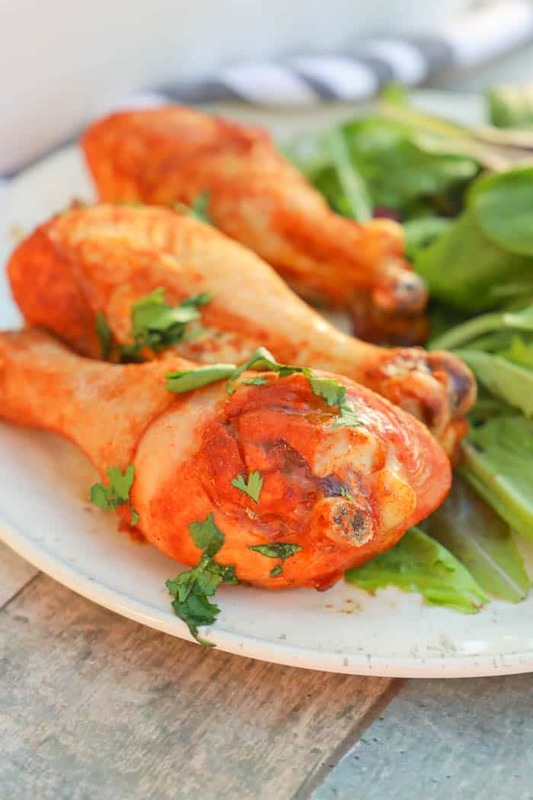 These Cilantro Lime Drumsticks are a win-win! 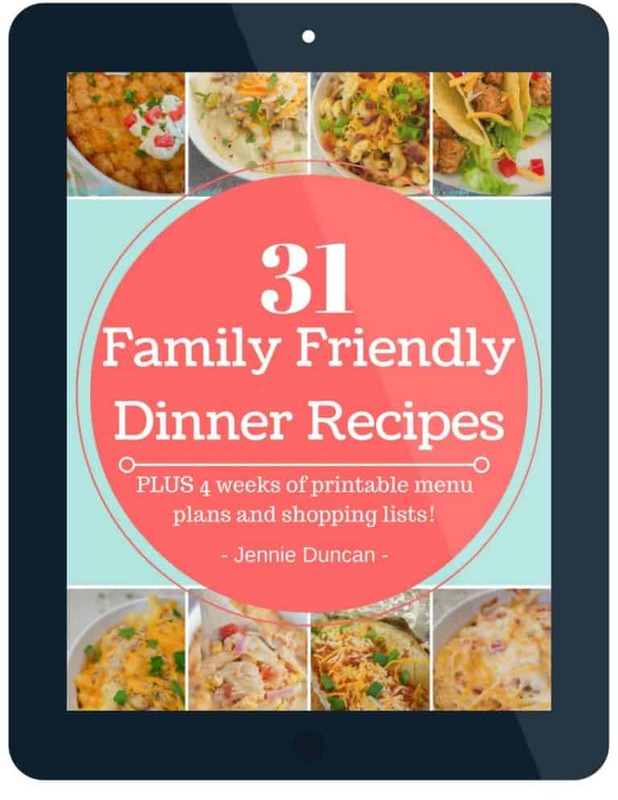 I get an easy meal that can be tossed in the oven quickly and my kids get a meal they love. This recipe only takes four simple ingredients but is so full of flavor. I think you will love it just as much as my family did. I love serving this with some rice and a salad. Here are a few more of my favorite side dish that pairs perfectly with this cilantro lime chicken drumsticks. Step one: You want to start by marinating your chicken. You don’t have to allow it to marinate overnight but doing this would help the flavor really get into your chicken. Start by placing your chicken drumsticks in a large freezer bag. Add the juice from both limes along with the taco seasoning. Seal the bag and then massage the chicken. You can now place it in the fridge to marinate or cook immediately. Either way, your chicken will taste amazing. Step two: Once your chicken is ready you can now preheat your oven and prepare a casserole dish with nonstick cooking spray. Pour chicken your prepares dish and bake. Time can vary depending on how large your drumsticks are. I baked mine for close to 40 minutes but smaller ones were done by 20-25 minutes. Step three: Last add your cilantro. I diced fresh cilantro them sprinkles it on. 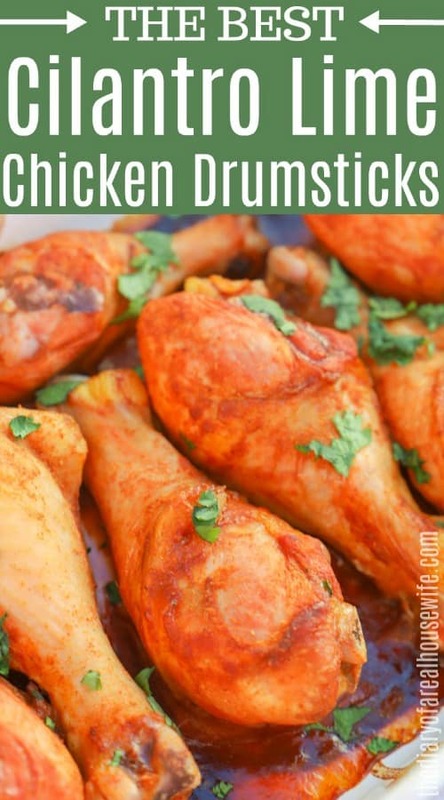 Want more drumstick recipes? Check these out next! 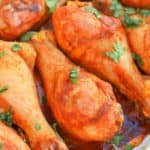 Place chicken drumsticks in a large freezer bag. Add the juice from both limes along with the taco seasoning. Seal the bag and then massage the chicken. Marinate overnight for best results or cook immediately. Add cilantro to your chicken and serve.